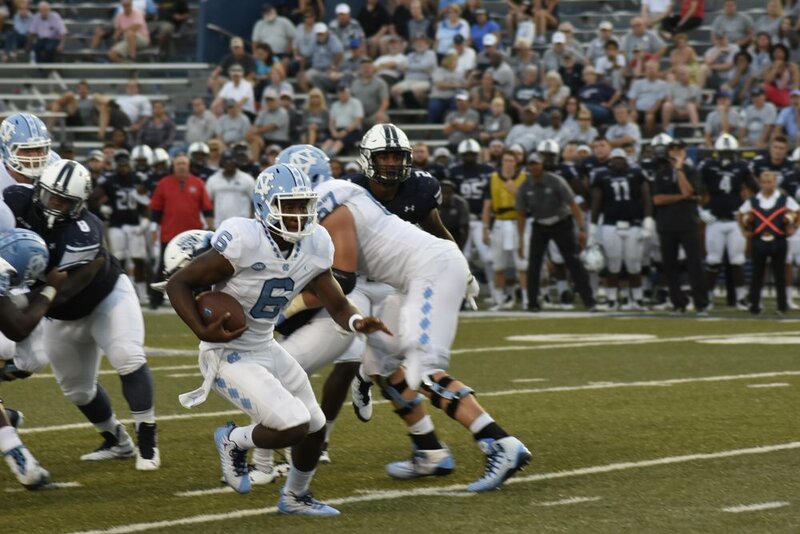 Add all the caveats you like —the fact that Old Dominion is a team brand new to FBS, that the Tar Heels had beaten them by 60 points in a shortened game four years ago, that ODU was playing without star running back Ray Lawry. Add all the ifs, ands or buts that you need to do to qualify this game. 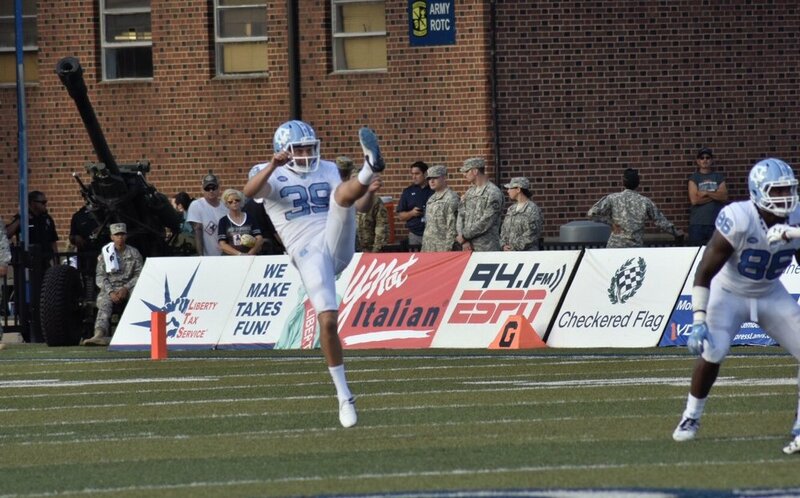 The fact is, Carolina football needed a win, and Saturday's game at Old Dominion was the next on the schedule. 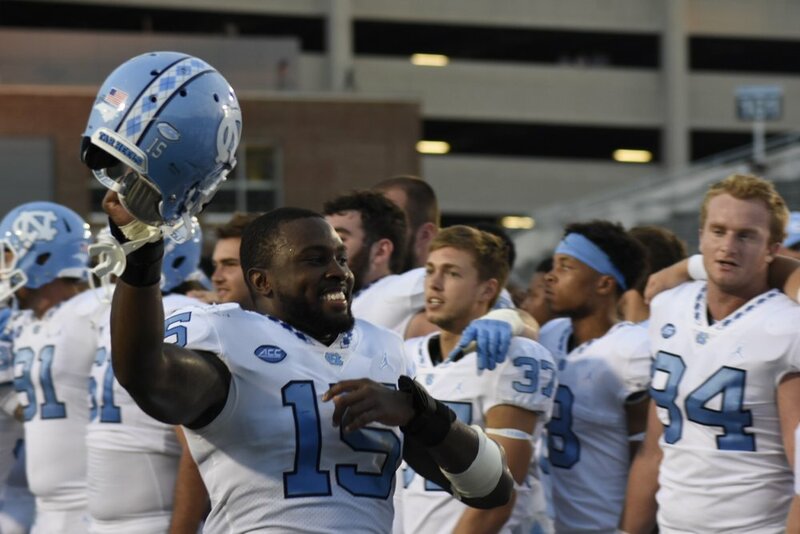 It matters not that it was out of conference; what matters is that the Tar Heels are on the bus headed back to Chapel Hill with a game in the win column. The Tar Heel offense got the scoring started on the first drive of the day. The field goal off the toe of Freeman Jones represented the first three points of the afternoon; Carolina would add 50 more. The emphasis all week in practice was to start fast, and the Tar Heels did that, notching the game's first 25 points. 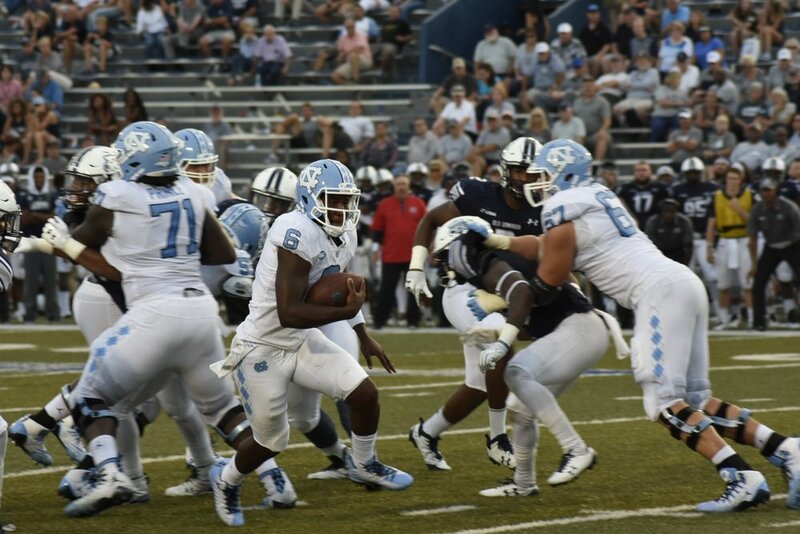 Defensively, the Tar Heels stood tall early, forcing three-and-outs on the Monarchs' first three possessions and a missed field goal on the next; ODU would not score with their offense until the second half. "We didn't play a perfect game by any means, but what they did was practice hard all week, put together a game plan, learn a game plan and then came out and just played hard," Larry Fedora said. Indeed, it wasn't perfect. 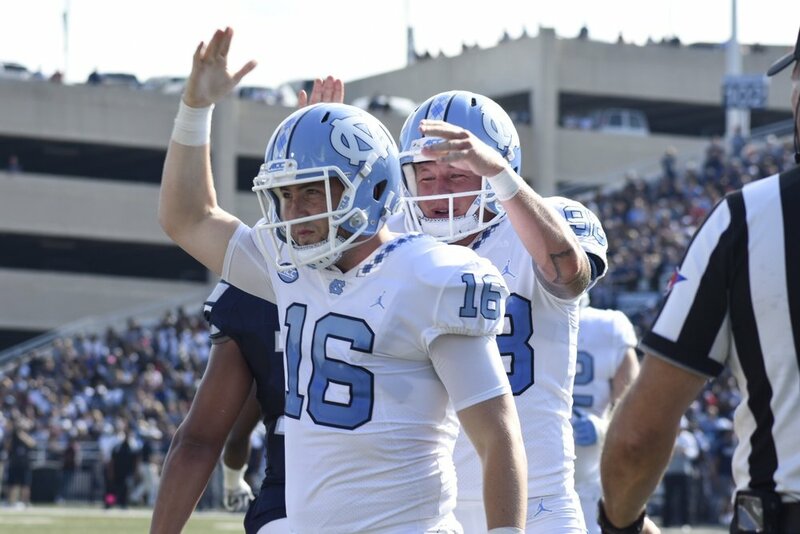 The nagging issues affecting the Tar Heel defense crept up in the second half, with too many wide open spaces in the secondary leading to a touchdown reception of 71 yards and another 50-yard grab. And senior safety Donnie Miles, surprisingly, looked particularly lost at times. But the defense did force eight three-and-outs and two turnovers, including a fumble on their own one-yard line. But there were bright spots, too. Myles Wolfolk got an interception on the first series of his college career, and Jonathan Smith tied for the team lead with six tackles while stepping in for the injured Andre Smith at middle linebacker. And offensively, finally, there seemed to be some answers. Chazz Surratt got all the meaningful snaps at quarterback, and though Fedora was non-committal when asked if Surratt was the starter moving forward, it sure looked that way, despite capable play by Brandon Harris. And the running attack rotation seemed to be smoothed out, with Jordon Brown getting 17 carries for 130 yards and two scores, and Michael Carter getting 13 for 70 and two of his own. Both running backs are talented, and the Tar Heel coaching staff would do well to continue to utilize them. And it was good to see Austin Proehl get in the scoring column with a beautiful over-the-shoulder grab in the third quarter. There is still room to grow, certainly. But it's more fun to watch film and build on a win than a loss. The Tar Heels welcome 3-0 Duke next weekend in the annual battle for the Victory Bell. But the best Carolina could do —as far as the win/loss column goes—is come up to Norfolk and leave with a win, and they did that on Saturday. It was just what they needed.